You Can Save Your Pet From Cancer! This includes DVDs, written transcripts, 33 expert interviews, MP3 recordings and more... at up to 41% SAVINGS! Thank you for caring for your beloved pet… and wanting to give them the longest, healthiest life possible -- FREE from cancer and other diseases. 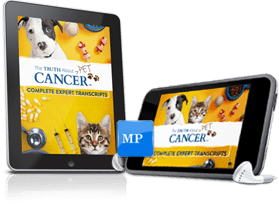 Because when you own The Truth About PET Cancer Platinum Edition today, you’ll have the latest veterinary therapies, treatments, and protocols from 33 of the world’s leading pet cancer experts right at your fingertips. It’s practical advice on what you can do today to prevent and heal cancer in your pets. You won’t find this advanced, breakthrough information anywhere else! Now you can watch it over and over again… and share it with your friends, family, community and church groups, coworkers and even your vet. And I want to humbly thank you for joining the mission and supporting the movement to end cancer once and for all. Not only in humans, but in your beloved pets too. What a precious gift of life you can give to your furry “best friends”. 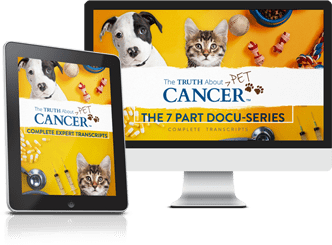 You won’t miss a single word with the complete unedited transcript of every interview with our group of world-renowned veterinary oncologists... holistic veterinarians… and animal health specialists--all advancing pet health safety and natural cancer prevention and healing therapies. Watch the entire life-saving series whenever you want… or share it with your family, friends and even your vet. Don’t miss a single word of the vital life-saving information we share in every DVD with our companion 164-page transcript book. Video and Audio Recordings of every episode. Plus, 33 uncut expert interviews. Now you can download, watch and listen to these recordings on any mobile device. Enjoy every episode, expert interviews and transcripts in digital format to watch on your computer, laptop, tablet or mobile phone. Take the recordings of every episode and every uncut expert interviews with you to listen to while you’re in the car, on your morning walk or wherever you go. Now you can download and listen to these recordings on any mobile device. Choose the package edition to meet your needs and budget below. Receive unlimited access digitally or have a physical hard copy package delivered to your front door… or choose both with our popular Combo package at up to 41% SAVINGS. Good Value! You SAVE 22%. Great Value! You SAVE up to 26%. The entire docu-series shipped to you anywhere in the world. Hurry! 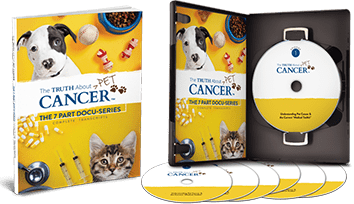 For a limited time only, you can order the complete Combo Package of The Truth About PET Cancer at a fraction of the regular price. That’s right. PreOrder today and you get it for up to 41% OFF the regular published price. Since we are such a small company, we can only afford to produce what is ordered. So once we know the number of orders we’ll immediately produce and mail your personal package right away. And because we can print in bulk, we can pass those savings on to you. This special order price is the lowest price we will offer on The Truth About PET Cancer. Once this introductory time is over, the price will go up. You’ll enjoy sharing these amazing cancer breakthroughs with everyone you love. And we believe it is SO important to get this cancer-fighting and life-saving information into the hands of as many people as possible… that’s why we want you to have it at such a special price. Because when you purchase the Platinum Edition, you help us carry on with our sacred mission to end cancer. 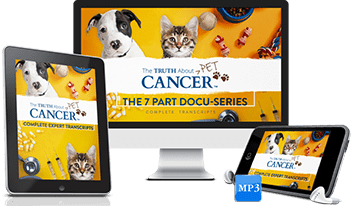 You make it possible for us to broadcast The Truth About PET Cancer for FREE to millions of people. So, not only will you help save and protect your pet from cancer, but you’ll help countless other pet owners and their pet babies too. GET A COMPLETE SECOND DIGITAL COPY FREE! A second Digital Edition absolutely FREE. That’s right -- a second digital edition FREE. When you get this second FREE digital package, I want you to give it to a friend, a neighbor or a family member who has a pet. Let’s save that pet’s life too. There’s no better gift you can give a pet owner than more time with their pets. Or give it to your vet! Imagine the lives that would be saved if vets knew about these natural therapies and treatments to heal and prevent cancer in your pet… and pets all around the world. It can happen. And we’re on a mission to make it happen. Will you help us? Will you order your Platinum Edition package today? to end cancer in people and pets? 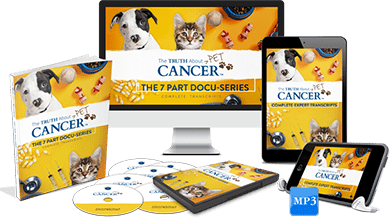 Not only will you help support us and our mission to eradicate the cancer epidemic in humans -- and now in our pets -- but you’ll also enjoy sharing this knowledge with every pet and pet parent that you love. The Truth About Cancer has donated more than half a million dollars to various charities committed to erasing cancer. Amazing charities such as The Independent Cancer Research Foundation (ICRF), The Cancer Cure Foundation, and The American Anti-Cancer Institute (AACI). Plus we also support Cancer Crackdown, a caring charity that helps support patients as they go through their treatments on their way to being healed. 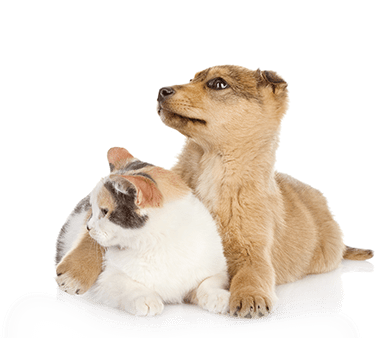 And now, that we have expanded our mission to our beloved pets, we have added Protect Pets from GMOs and Pesticides and AHVMF (American Holistic Veterinary Medical Foundation) to our list of charities we will be supporting with your purchase today. I want to assure you that when you order today, you won’t risk a single penny. 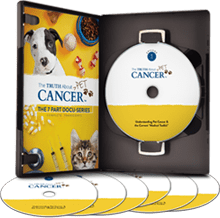 We’re so excited for you to discover The Truth About PET Cancer that we don’t want you to risk a penny with your order. And we want to make sure that you have plenty of time to watch the complete docu-series and read the transcripts, listen to the full-length expert interviews… and even share the docu-series with your favorite pets and their owners. That’s why you have 90 days to decide if The Truth About PET Cancer can help your treasured pet live a longer, healthier, happier life -- FREE from cancer. I guarantee you’ll find a natural therapy, treatment, or protocol that can help save the life of your pet or the pet of someone you love. Plus, you’ll appreciate knowing the simple things you can do today to help protect your pet from cancer forever. 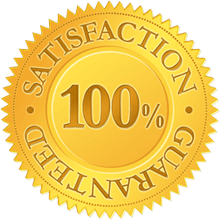 With this ironclad 90-day, 100% Money-Back Guarantee, you truly have nothing to lose -- and so much healthy, active living to give to your pet. 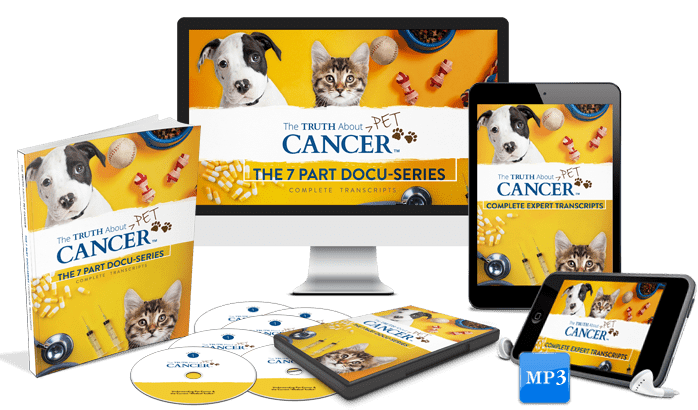 … or you want to ensure you give your pet the healthiest food and environment possible so they will thrive and live a long and happy life, then I urge you to order The Truth About PET Cancer Platinum Edition right now. You’ll save up to 41% when you order and enjoy a 90-Day Money-Back Guarantee. This is the ONLY time we will offer The Truth About PET Cancer at this low price. Great Value! You SAVE 26%. Your pets depend on you totally and completely. We owe it to them to become educated and informed on the subjects of nutrition and cancer, pet vaccines and cancer, environmental toxins and cancer… and so much more. Your pet needs you to take care of him or her so they can live a long and healthy life. Please help us end the agony, pain, and suffering of pet cancer. Join our cancer-free movement and support our mission to get this life-saving information into the hands of every pet owner… and their vets. You can save the lives of your pet and the pets of loved ones today. If you don’t discover one natural therapy, treatment or protocol to help heal and protect your pet… or if you’re unhappy with the docu-series for any reason… then simply return it for a full and complete refund of the purchase price. Which package (Digital, Physical, or Combo) offers the FREE Digital edition? With 12 million dogs and cats diagnosed with cancer this year, we need your help to spread the word about The Truth About PET Cancer, so we can save their lives. That’s why we’re offering a FREE Digital Edition with the purchase of ANY edition -- Digital, Physical, or Combo. Please share this life-saving digital version with your friends, family… even your vet. When will I receive my DVD Edition -- Physical or Combo -- in the mail? I understand you may be anxious to get started watching the series again, or sharing it with your friends and loved ones. Unfortunately, we don’t have deep pockets, like the pet food industry or Pet Pharma, we are only able to print what’s been ordered. And we’re busy printing everything now. But demand has been unexpectedly high, so please be patient as we print and ship your order as soon as possible. Normally, domestic orders take about 5 to 7 days to ship. International orders may take up to two weeks. We plan on having all orders shipped by the end of the month. But you can access all the episodes immediately online with your FREE Digital Edition, along with the 164-page companion episode transcript as well as a transcript of all 33 expert interviews. You can also listen to the MP3 audio recordings of every episode and expert interviews on your mobile devices. Once your purchase is complete, you will be given access to our exclusive Member Page to access your FREE Digital Edition. What is the best way to contact you should I have a question or need assistance? Our friendly customer success staff is here to help and will gladly assist you and answer any questions. Simply go to support.thetruthaboutcancer.com or send an email to support@thetruthaboutcancer.com and someone will be get back to you right away. with your question or concern and someone will respond as soon as possible. 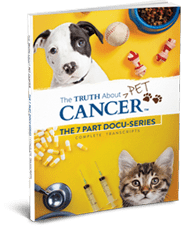 The Truth About PET Cancer is brought to you by TTAC Publishing, LLC. Users opting in will be given the opportunity to view the series for free and purchase the documentary series after watching. Disclaimer: The content of this website is based on research conducted by TTAC Publishing, LLC unless otherwise noted. The information is presented for educational purposes only and is not intended to diagnose or prescribe for any medical or psychological condition, nor to prevent, treat, mitigate or cure such conditions. 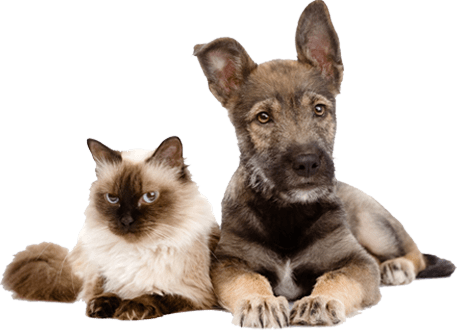 The information contained herein is not intended to replace a one-on-one relationship with a veterinarian or qualified pet care professional. Therefore, this information is not intended as medical advice, but rather a sharing of knowledge and information based on research and experience. The Truth About PET Cancer encourages you to make your own healthcare decisions for your pet based on your judgment and research in partnership with a qualified healthcare professional.